We have created the perfect catalogue for your day of fitness. Included is the Tracy Anderson necessity that will accompany you, motivate you and get you one step further towards your fitness goals. These fitness accessories are going to become essential and will remain by your side in the gym, the street or wherever you train. Count on them if you want to get the most out of your effort. The Tracy Anderson weight kit and mat. This pack will become essential during your workouts. 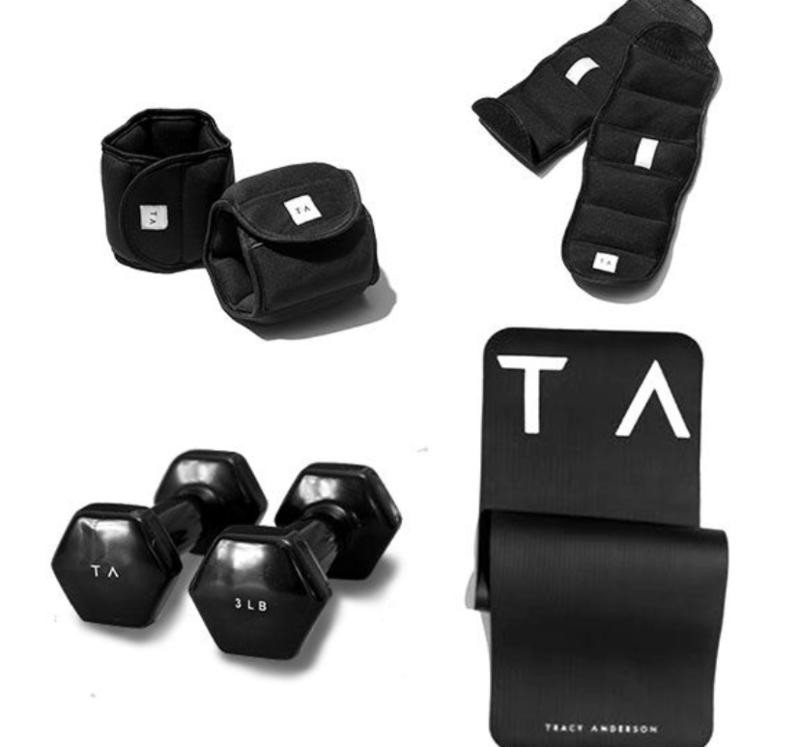 The weight kit for wrists, ankles and dumbbells, with Tracy Anderson mat.